I haz new stories out. It’s time for Julian Navarro to fulfill the mission left to him by his dead parents: to spark a revolution that would allow mindjackers to live freely in a mindreading world. While his ability allows him to mentally control the instincts of others, Julian wants to win jackers to his cause with words, not weapons. But when his first recruit has a secret—and bloody—history, Julian has to decide how far he’ll go to ensure his revolution isn’t snuffed out before it begins. The Handler is a short novella (9,000 words or 30 pages). Twenty-three-year-old Sasha is in search of a mindjacker Clan that won’t force him to use his unique skill—he can’t face the prospect of erasing any more souls. A revolutionary Clan leader offers him a chance to serve a higher purpose, but Sasha’s wary that it’s only a trick to use his ability. When a beautiful female jacker seeks refuge with them, and her former Clan leader wants her special skill back at any cost, Sasha has to decide if there are any causes worth the cost of using his ability one more time. 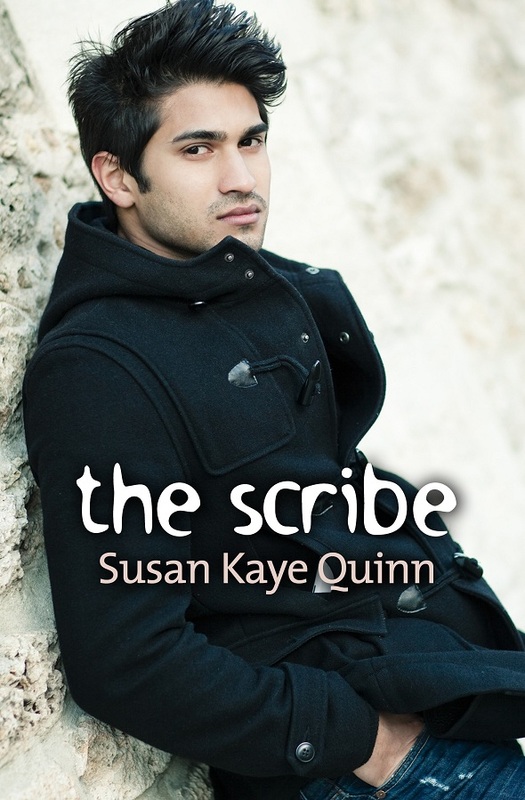 The Scribe is a short novella (12,000 words or 40 pages). Both The Handler and The Scribe are part of the Mindjack Origins series (which also includes Mind Games, the short prequel to Open Minds). These are companion stories to the Mindjack Trilogy and take place in the time period between Open Minds and Closed Hearts. They contain (minor) spoilers for those two novels. I had tremendous fun writing these stories. They gave me a chance to explore the short form, write from a couple different male POVs (which I enjoy), as well as create some rich backstory for my characters that I can bring forward into Free Souls. Technically, The Handler and The Scribe are novelettes, but that word gives me the heebie-jeebies (a technical term), so I call them short novellas. If the SWFA comes after me, I’ll tell them you need new terminology, people. I truly think that ebooks are changing the way we read stories, and that we need new terminology to describe stories of varying length. Or perhaps go entirely egalitarian and just call stories “short” and “long” and let the reader sort it out. Whatever we call these shorter form stories, I LOVE the fact that I can publish stories literally hours after the final proofing. Indie publishing doesn’t (have to) mean speed in writing, but it definitely means speed in publishing. And the freedom to publish (and therefore write) whatever strikes the writer’s fancy. That kind of artistic freedom is something that writers are just beginning to explore. Of course, writers could write whatever they wished before e-publishing, but there was no guarantee of the chance at an audience. And audience matters to many (not all) writers. We want our work to be read; that’s part of why we create it in the first place. With indie publishing, whether anyone actually reads it is in the hands of the readers themselves. There are many ways for readers to discover short stories. Amazon and Barnes&Noble are quickly adding “short story” categories to their bestseller listings. Mind Games has been on these lists almost from when it was first published in May. When it was FREE, it was often on the front page of Amazon’s top 100 SF list. So I know that some readers discovered that short story independent of the Mindjack series. That may be true for these stories as well, or readers may click through the links at the back of my books and discover them that way. Or perhaps they’ll stumble upon them when searching for “neuropunk” – a term I just made up, but I’m rather fond of, so I put it in the tags for The Handler and The Scribe. Maybe these shorts will expand my digital footprint or maybe they’ll just be fun for fans of the series. I know they were fun for me, and that counts for something as well. Do you write short fiction? Have you published it? If so, please share your experiences in the comments! Congrats on getting those out. I've been working on backstories for my characters and have discovered some interesting aspects about them. Love your ideas on Indie publishing too. I think I'm going to go that route as well. Thanks! More and more people are giving indie a try, so I’m not surprised. There are a lot of benefits. Yay! Yay, yay, yay!!! *turns a cartwheel* Can't wait to see your collection of shorts, Bryan! *rubs hands together* I cannot wait to start reading these!!! I love your mix of sci-fi and society! I couldn't agree more! In fact, I'm also taking inspiration from Asimov for the next series I'm writing (after Mindjack) – where he built the rules for his robot society (the three rules of robotics) through a series of shorts. I've already got several ideas running rampant in my head. Yay! 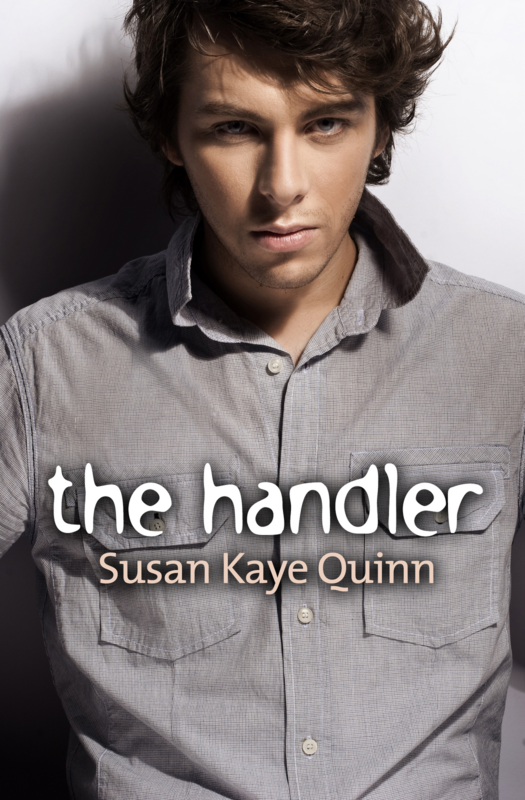 I read The Handler and it's fantastic! Congrats on your new books. They sound great. And that's awesome about your ranking on Amazon.